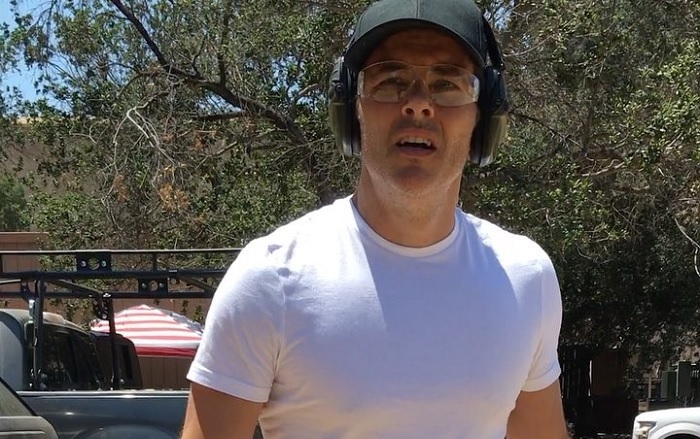 James Marsden Gets Back to Work on Westworld Season 2! Yesterday we learned that filming for Westworld season 2 would start today on Melody Ranch in Santa Clarita, California, and a short while later, we heard rumors that weapons training would be taking place as well at the same location. Just a few hours ago, actor James Marsden, who played bad luck cowboy Teddy Flood in season 1 of Westworld, posted a new video on Instagram confirming the reports. “Westworld quick draw training! 🤠” posted Marsden, along with the clip showing off his gunfighting skills. Last year the cast of Westworld were amazingly forthcoming with sharing their filming experiences on social media. Here’s hoping that trend continues!